FINANCE COMMITTEE: Met in the water dept. bldg. on 7/9/18 at 1:30 p.m. PRESENT: Mayor, Art Nutzhorn, Donna Lefler (1st Ward), Connie Jacobson, Gene Gibler (2nd Ward), Rob Finney, Ryan Kelly (3rd Ward), Barbara J Cantwell City Clerk, Bruce Fehrenbacher attorney. CALL TO ORDER: Mayor Hollis called the regular meeting to order at 6:02 p.m. and led the Pledge of Allegiance to the Flag. MINUTES: Page 1 REPORTS FROM CITY EMPLOYEES 3rd sentence change Monday to Wednesday and 4th sentence change Wednesday to Friday. 5th sentence add and back light bars after front light bar. Page 2 under ATTORNEY REPORT: remove the word None and put Bruce is going over the code book. Under PUBLIC CONCERNS: 4TH sentence after the word mulch remove the coma and insert the word and. Remove CEMETERY: Jeffery Lape is not living up to his contract. Page 3 under FLAG POLE: 2nd sentence remove the word of and replace it with or. Gene Gibler made a motion to approve the minutes as amended. Rob Finney 2nd motion passed. Connie Jacobson abstained. MINUTES FOR JUNE 26TH SPECIAL MEETING: 1ST Page under SWINGS: 3RD line, remove the sentence rims and chain net is $979.00 each totaling $1,958.00. Replace it with gooseneck post with a rim and chain net cost of $979.00 and 2 totaling $1,958.00. 5th sentence change hoop and chain nets for the figures shown above, to units for a total of $4,119.01. Under TREE: 2nd sentence should read The Ash Tree needs to be taken down. Rob Finney made a motion to approve the amended minutes for the June 26th Special City Council meeting. Art Nutzhorn 2nd motion passed. Ryan Kelly abstained. CASH RECEIPT REPORT: Total Cash Receipts for the month of June 2018 is $58,505.71. Rob Finney made a motion to accept the City Clerks Cash Receipt Report. Connie Jacobson 2nd motion passed. TREASURERS REPORT: No report this month. There will be 2 reports next month. REPORTS FROM CITY EMPLOYEES: Josh wants to meet with Larry to get a location for the bench and flag pole to be put in. Ryan Kelly made a motion to amend the agenda and move executive session up to after the Approval of Submitted Claims and before Attorney Report. Donna Lefler 2nd motion passed. APPROVAL OF SUBMITTED CLAIMS: Rob Finney approved the Submitted Claims with the list #848. Donna Lefler 2nd motion passed. Ryan Kelly made a motion to leave regular session at 6:22 to go into executive session 2c of Open Meeting Act for employee performance. Donna Lefler made a motion to reconvene the Regular Session at 6:49. Art Nutzhorn 2nd motion passed. The Mayor has no statement regarding the executive session at this time. CEMETERY: Attorney Bruce Fehrenbacher reviewed the contract of Jeffery Lape for the cemetery and if he isn’t fulfilling his contract he can be terminated. Mayor says since Memorial Day Mr. Lape has been keeping up with the mowing. Mr. Lape was present for the meeting. MULCH: Art Nutzhorn was asked why there wasn’t going to be mulch under the slide? 4 tons more of mulch will fill the semi which is delivering the 18 tons of mulch we have already ordered. 4 tons will cost $2,600.00 more. Gene Gibler made a motion to purchase another 4 tons of mulch at $2,600 to put 4 inches of mulch around the slide. Ryan Kelly 2nd motion passed. 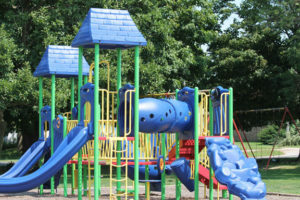 PUBLIC CONCERNS: Jason Musselman wanted to thank everyone on the efforts to improve the park. TREES: There is an estimate from Saw-n-Logs for the trees in the City at a cost of $8,925.00 and the trees in the cemetery costs $7,950.00. The high priority trees will cost $1,900.00 and 2 trees on Lyons Court costing $900.00. Saw-N-Logs will be chipping all brush and leaving the logs. TIF will cover $7,800.00 leaving a balance of $3,925.00 for the city to pay not including the cemetery. There is a balance of $3,400.00 budgeted in misc. for cemetery. Donna Lefler made a motion to proceed with the Saw-N-Logs estimate for the removal of the City of Toulon trees listed for $11,725.00. Gene Gibler 2nd motion passed. Connie Jacobson made a motion to proceed with the removal and trimming of trees for $7,950.00 in the Cemetery from Saw-N-Logs. Art Nutzhorn 2nd motion passed. SIDEWALKS: Mayor wants to put more sidewalks on Jefferson St. and other walks that need attention in town. The sidewalk at Karen Roberts house needs repaired. The sidewalk at the funeral home needs done. TIF will cover some of the walks also as long as they are in the TIF district. MAILBOXES: The City has an Ordinance saying you cannot place a mailbox on City owned and controlled property which is the area between the sidewalk and the street. Larry will work on further information. SPLASH PAD: The splash pad is a zero water depth feature. Low maintenance, water usage is about 17,000 gals a day. It is motion activated. Size starts at 1,500 ft. and can get as big as you want and as fancy as you want. BENT PROPERTY: A survey has to be done to pin the ground. There were some invoices found from Miller Hall & Triggs in 2009 that were paid for services done on this matter. TIF: Gene Gibler made a motion to reimburse the City general savings account for paying Jelly Bean LLC for the park mulch for $13,500. Ryan Kelly 2nd motion passed. Gene Gibler made a motion to paying Saw-N-Logs for removing 2 trees on South Union Street in the TIF District for $450.00. Donna Lefler 2nd motion passed. Teresa also reported that we received $115,773.82 for the TIF from the Stark County Clerk for taxes. Gene Gibler made a motion to adjourn. Ryan Kelly 2nd motion passed.